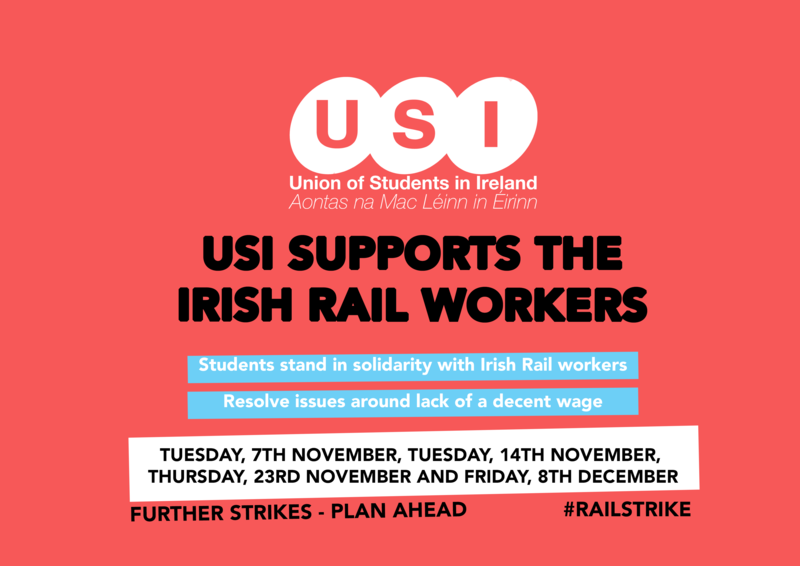 The Union of Students in Ireland (USI) is condemning the failure of Irish Rail management and Government to resolve disputes with Irish Rail workers, causing thousands of students to be left without travel to college. As today marks the first of five announced dates of 24-hour all out-strike action, USI President Michael Kerrigan slammed the refusal by management at the State transport company to address a reasonable pay claim by staff. The four further 24-hour work stoppages are planned to take place on Tuesday, 7th November, Tuesday, 14th November, Thursday, 23rd November and Friday, 8th December. The union is urging students to seek alternative transport on these dates and to consider car pooling with peers.